Family 1 : Zachariah FUGATE , Sr.
Jerrod Broner, grandson of Lucinda Jane Ames & William Rumen Allen. PAGE: as posted on Rootsweb Message Board. 1880 Washington County, Arkansas Census, Illinois Twp. Ernie Matlock, grandson of Florena, d/o "Ike" Thomas & Mary Elizabeth Ford. 1860 Claiborne Co. TN Census, Tazewell, HH 494 - Eliza, 1852, TN. Carmack Surname File at the KY Historical Society, Frankfort KY.
Sue Ann Morrow, granddaughter of Nellie Vaughn & William Basco Jones. Civil War Pension Record of Isaac Abshear, posted on Rootsweb. PAGE: by Nell Eagle Lamantia. PAGE: Dean & Rice Cemetery. Although Owsley Co. KY Marriages by Robert L. Smith, P. 93. has a marriage date of 1873, Rebecca & William Isaacs are together on the 1870 Owsley Co. Census with 2 children aged 2 yrs, and, 5 mos. 1852-1862 extracted KY Vital Statistics on microfilm at LDS. Based on the age of oldest child on the 1870 Owsley Co. Census. Rosalie Thomas, wife of Nevil Taylor Thomas, g/s of Andy Thomas (s/o Levi). This is the "Betts" Thomas that Glenn Twist corresponded with. Norma Jean, wife of Harley T. Thomas, son of Charles Randolph - from Glenn Twist. William Thomas, Spokane WA, grandson of Kimber Thomas & Elizabeth Carlton. Togin Cassell, 3rd grt g/d of Catherine Lewis. 1870 Jackson Co. KY Census, Sturgeon Precinct. From the book, Civil War Veterans of Owsley County, by Harley Tucker Bowling - Madden. Kenneth R. Thomas, g/s of Charles Randolph Thomas & Mary Mathilda Byford. David G. Moore, 4th grt. g/s of John Moore Sr. and Judah "Judy" Bowman. Myrna Gulley Seal as noted on 1860 Owsley Co. Census copy. Alice Peters never married - Verna Peters Sedan, sister of Carl Peters. 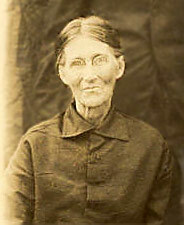 Margaret Millar Hayes, author of 1880 Owsley County KY Annotated Census and other publications. Alisha Tirey, wife of Jayson Lee Tirey, who is the grt g/s of Bradley Tirey & Della Hughs. From the book, Civil War Veterans of Owsley County, by Harley Tucker Bowling. Tony Root,, grt grt g/s of Mary Ann Carmack & William Bishop. 1870 Franklin County, Kansas Census. Clay Co. KY Marriage Index - "Becky". 1820 Clay Co. KY Census, P. 112 - 1794-1804. 1840 Owsley Co. KY Census, listed as head of HH, b. 1790-1800. 1870 Owsley Co. KY Census, Indian Cr. Prec. HH 13, in daughter, Elizabeth's HH. Not on 1880 Owsley Co. KY Census. Owsley County KY Cemetery Records compiled by James F. Bowman - James Wilson Baker Cem. Clay Co. KY Marriage Index: applied for license 5/11, married 5/16.